On Tuesday, the elder of the twin telescopes of the W.M. 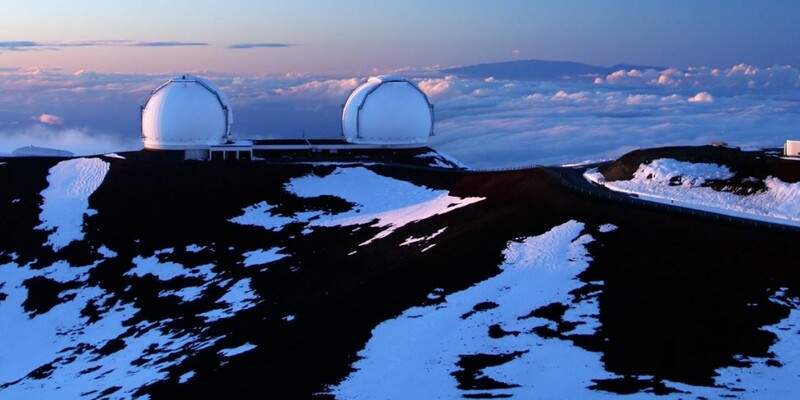 Keck Observatory will celebrate the 25th anniversary of its “first light” operations perched atop Mauna Kea on Hawaii Island. The milestone comes as the planned construction of the world’s largest optical telescope, the Thirty Meter Telescope, was delayed once again. Meanwhile, Keck I and Keck II (which came online in January 1996) still play an active and important part of modern astronomy. 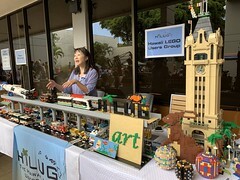 How busy is the Keck Observatory? Just a few days ago, astronomers announced finding a nearby dwarf galaxy that is believed to contain an incredible amount of dark matter, using the Keck to help measure its velocity. Earlier this month, the Keck Observatory helped measure the distance to one of the oldest and most massive clusters of galaxies ever discovered, 8.5 billion light years away. In August, the Keck was instrumental in finding the most distant, ancient galaxy yet discovered. In July, it helped find a new, potentially life-sustaining planet. 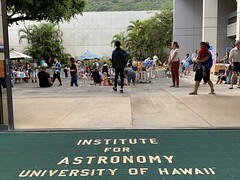 “Thanks to the pristine conditions on Mauna Kea and the incredible work and ongoing efforts of hundreds of Hawaii residents, Keck Observatory has become the pride of Hawaii, contributing more to humankind’s understanding of the Universe than any other research facility on Earth,” observatory director Hilton Lewis said in a statement. When it was built, the Keck Observatory became the most powerful telescope in the world. 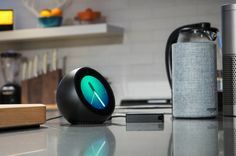 It had solved a problem that threatened to stop telescope development in its tracks: the inability to manufacture larger precision mirrors to capture more light. The five-meter reflector at Palomar Observatory held the crown as the largest optical telescope for nearly 50 years before designers of the Keck telescopes seized upon a revolutionary design that used 36 hexagonal segments to form a single 10-meter reflector. Every major telescope design since, whether built on Earth or deployed in space, uses the same architecture. In addition, the Keck Observatory’s two-telescope configuration further allowed more than one set of segmented mirrors to work together as if they were a single, contiguous instrument. 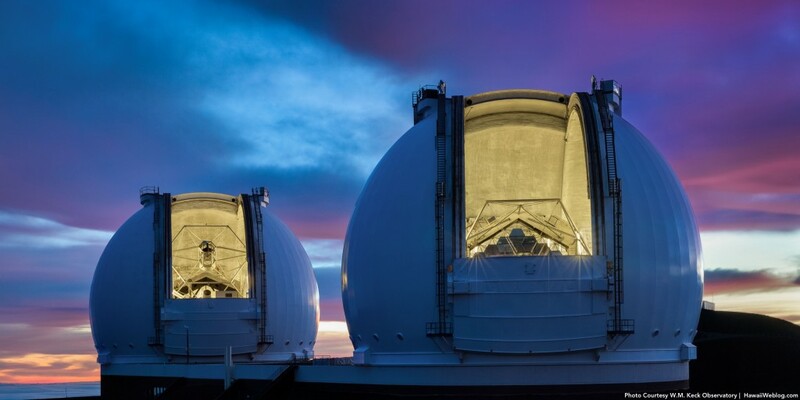 So despite having been around for a quarter of a century, the groundbreaking design of the twin Keck domes means that they are still the largest steerable optical (and infrared) telescopes on the planet. 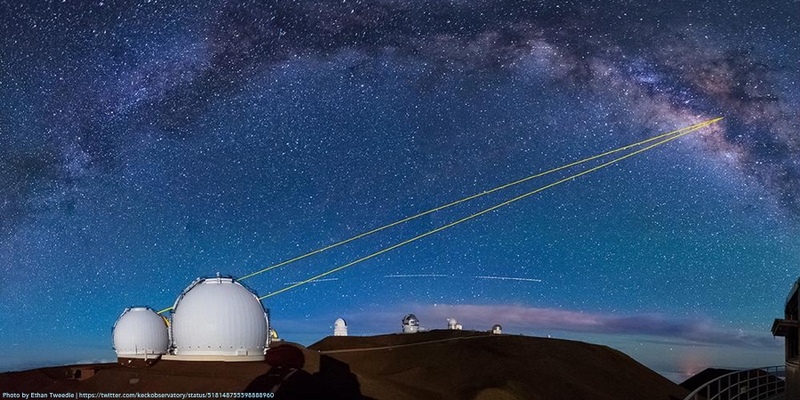 Keck Observatory is also a leader in the development of laser guide star observations, creating an artificial star in the dark sky to allow for more stable and clear images of distant objects. 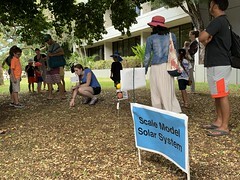 To celebrate its 25th anniversary, the Keck Observatory team will host school groups at its base facility in Waimea on Tuesday, Nov. 24. 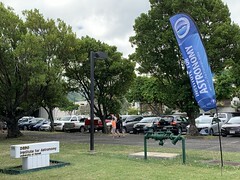 For more information on the anniversary and the observatory, visit KeckObservatory.org, follow @KeckObservatory on Twitter, or connect with the observatory on Facebook.